It’s been about two and a half years since I’ve had to do a fund-raising drive to help pay for my wife’s many medical issues (oral cancer survivor, spine issues, and now multiple sclerosis). This is due to moving to a state that expanded medicaid so my wife has insurance that actually covers most stuff. So we no longer have 20% co-pays on her MRIs, CT Scans, and other expensive procedures she has to have regularly. Unfortunately, there are some things that are not covered. Most are not a large expense. However, the current example, glasses, is a large expense. Glasses are covered — or they are if the prescription is fairly normal (so the insurance company’s lab can make the lenses) and you only get new glasses once every three years. Unfortunately, multiple sclerosis does terrible things to one’s eyes and most MS patients need new glasses every year or so. In my wife’s case, not only does she need new glasses almost every year but her prescription is now so strong in the prism department that only a handful of labs in the country are able to make these glasses. Naturally, the insurance company’s lab is not able to handle the prescription. Even if they did, they will not pay for the ultralight lenses that she would need to actually be able to wear them (a lot of prism makes thick, heavy glasses). Worse, she needs two pair of glasses as bifocals aren’t a good option with this much prism — especially in someone whose balance is compromised (due to MS and pinched nerves in her spine). She is no longer able to drive or the two glasses solution (one pair for reading, computer use, and other close work; and another pair for normal use) would not work. We’ve fought the insurance company for six months over this (as the new glasses are medically necessary) and have gotten nowhere. Thanks to a neighbor we have managed to find a place that has access to a lab able to handle her extreme prism and will do her glasses at cost, which has reduced the price from just under $1600 to just over $1000. Unfortunately, we don’t have $1000 for glasses. Okay, this is not exactly true. We could get the glasses and not pay our second and last property tax payment for the year (just over $1000), but then we would not have a place to live. So I’ve reluctantly decided to do a RetroRoleplaying Cancer Fund drive to raise the money. Drawing 1: Adventure Gaming: After Tim Kask left Dragon Magazine, he started a new publication: Adventure Gaming. 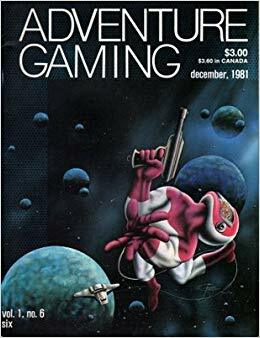 Unfortunately, due to the recession in the early 1980s, this very nice magazine only lasted 13 issues. A complete set of all 13 issues will go to one lucky donor. Drawing 2: Adventurer: This is a British gaming magazine from the mid-1980s. There were only 11 issues. A set of the first 10 issues will go to one lucky donor. Drawing 4: What Price Glory?! 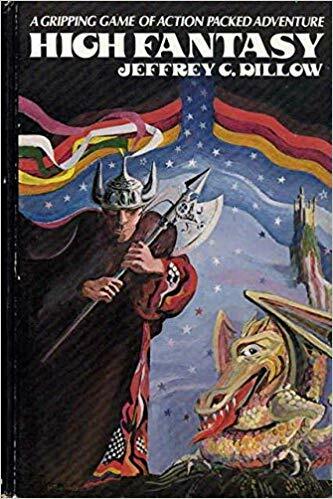 This early fantasy RPG was published in 1978 and (probably) was only available by mail order from the authors. The rules are — surprise — heavily based on D&D. It is an early example of a “fantasy heartbreaker.” This copy is complete but the some of the pages have really yellowed and a few pages have notes in colored pencil. 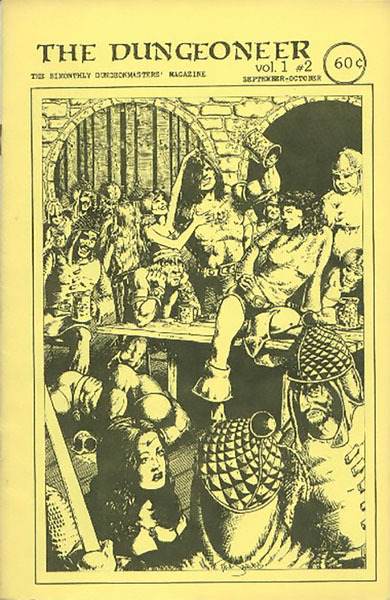 Drawing 5: High Fantasy: This 1978 RPG was probably the first fantasy RPG published in hardback (in this 1981 version) and distributed to the book trade. It’s a strange system with four classes (warriors, wizards, animal masters, and gun toting alchemists). One donor will get both the High Fantasy rulebook and the Adventures in High Fantasy adventure book. Both are hardbacks by Jeffrey C. Dillow and published by Reston Publishing. Drawing 6: The Dungeoneer: Copies of the first six issues of The Dungeoneer (published by Jennell Jaquays in 1976 and 1977) will go to one lucky donor. 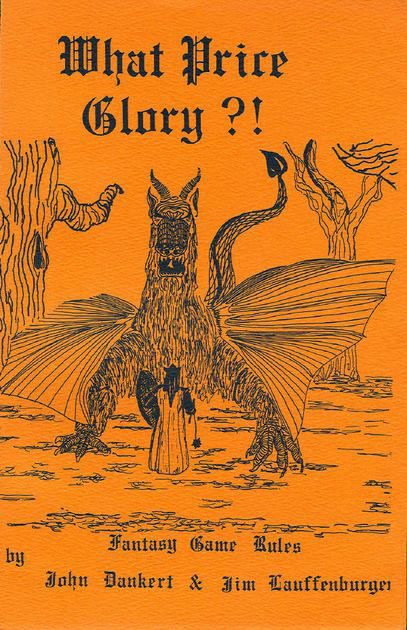 Note: this is not the compendium of the first six issues published by Judges Guild, but the actual six issues published by the Fantastic Dungeoning Society of Spring Arbor College. Additional donated items (gift cards, Steam game keys, Judges Guild modules, etc.) may also be raffled off either during the drive or at the end of the drive. Book rate postage will be free to winning donors in the US and Canada. Others will need to pay for postage over the first pound. Finally, I have a very special item I hope to give away. I’m not mentioning what it is because it is currently on its way to me from Gibraltar. Given the uncertainty of international mail delivery times, I don’t want to jinx anything by actually promising this item before I actually have it in my hands. 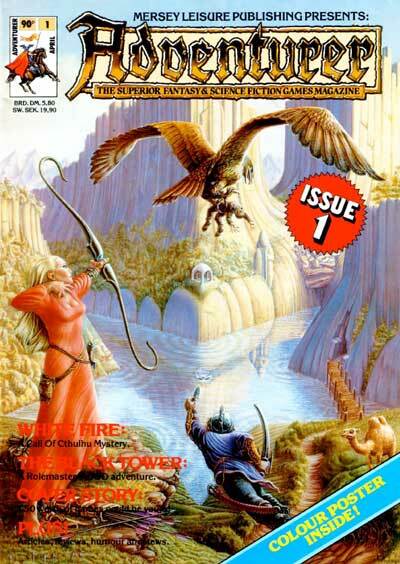 As usual, anyone donates anything at all (even a dollar) to the RetroRoleplaying Cancer Fund gets access to a few special downloads (like pdfs of two 1970s D&D fanzines I edited, a special edition of Microlite74, and more) as described on the RetroRoleplaying Cancer Fund web page as well as in progress draft downloads of my current projects). If you would like to help but cannot make a donation, please help spread the word around the blogsphere (and other places). In fact, if you make a post to your blog talking about this fundraising drive and post a link to your post in a comment to this post, we’ll give you one entry in the raffle. Note: Your blog will have to have some way for us to email you if you get lucky or will will not be able to get your prize to you as even after all these years I am still failing my Mind Reading 101 class. To get help us pay the medical bills (and to get access to some special downloads and possibly the above mentioned items), send a donation in any amount — small or large — to me via Paypal. Every $10 donated gets one chance in the above giveaways. My heartfelt thanks to everyone who donates. If you cannot donate but wish to help, please spread the word about my request and offer. Thanks in advance for any and all help. The Summer Heat WaveFund Drive is on. Every $10 donated gives you one chance to win a one of the many early RPG items (What Price Glory? !, issues of The Dungeoneer, etc.) described in the above-linked post. Multiple drawings will held. Donate $10 or more to be listed as a sponsoring donor in upcoming RetroRoleplaying releases. These benefitsare in addition to the usual PDF downloads and other benefits of a donation to the RetroRoleplaying Cancer Fund. To get help us pay our medical bills (and to get access to some special downloads and possibly the above mentioned lazy days of summer items), send a donation in any amount — small or large — to me via Paypal. Thank you! Pushing Microlite81 Expanded to Beta over the Christmas Holiday? Previous story A Second Edition of Microlite78 First Edition Lite?